Open studio evenings are held annually by invitation. 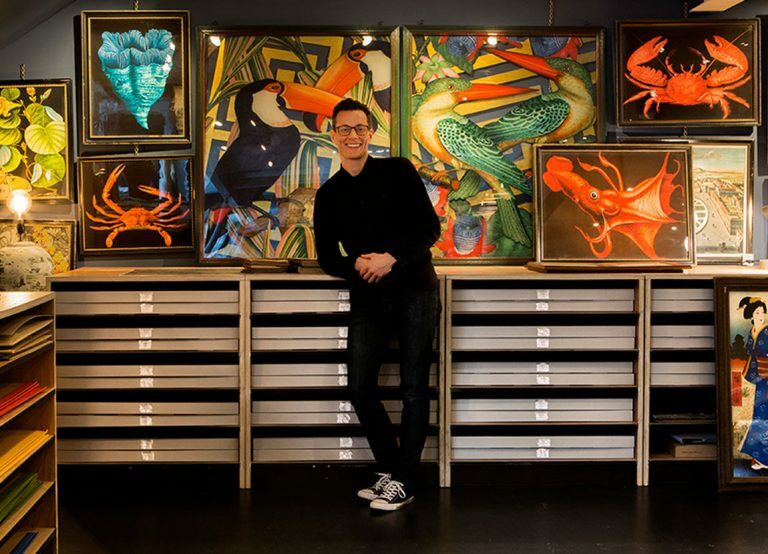 Since graduating from The Slade School of Fine Art, Adam’s work has developed through both traditional and digital media resulting in the founding of Adam Ellis Studio in 2005. Composed of a small team of designers, project managers, illustrators and archivists we focus on art curation, bespoke wallpapers, and site specific installations for both commercial and residential interiors. Working closely with many of our founding clients, the business has grown significantly since its establishment. We have recently expanded to include a new gallery space that allows us to show both new work and selected pieces from our extensive archive of artworks and wallpapers. Please contact the studio to arrange a viewing. Whatever your requirements, please do not hesitate to get in touch. We are always on the lookout for new recruits, please email CV and any relevant work to amber@adamellis.com.